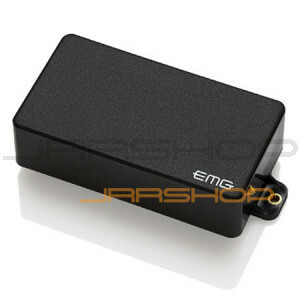 The H pickup is our original single-coil pickup design inside a humbucking housing. It debuted in 1974 as the first noiseless single coil pickup, featuring the widest possible frequency response for clarity, and a rich blend of related harmonics. This pickup is an excellent choice for the rhythm guitarist who needs added definition for chording, or for lead work when the bright attack of a single coil pickup is required.